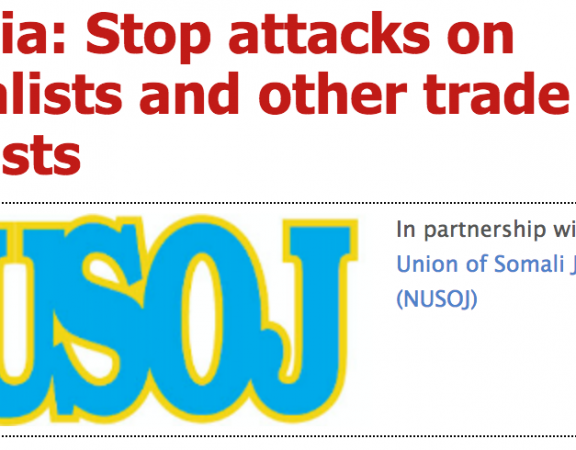 The National Union of Somali Journalists (NUSOJ) today condemned the measures by Somaliland authorities against journalist Omar Ali Hassan who was arrested after returning from Mogadishu. On Saturday, 8 July 2017, journalist Omar Ali Hassan who works for Mogadishu-based privately owned radio station, Goobjoog, was stopped and arrested at Hargeisa’s Egal International Airport by Somaliland police. Omar Ali Hassan, who is widely known Omar Serbia, was traveling with his wife from Mogadishu to Hargeisa but the police prevented him only from the leaving the airport. Immediately after Hassan’s arrest, it was unclear to fellow journalists and Hassan’s family if it was the police or the secret services who was behind the stop and arrest order but today the police confirmed that they are detaining the journalist, orders were given to them from the Ministry of Interior, and they allowed family visit for Hassan. Authorities have not yet officially charged the journalist and efforts to release him since yesterday afternoon did not bear fruits.He is currently detained at Hargeisa’s central police station. 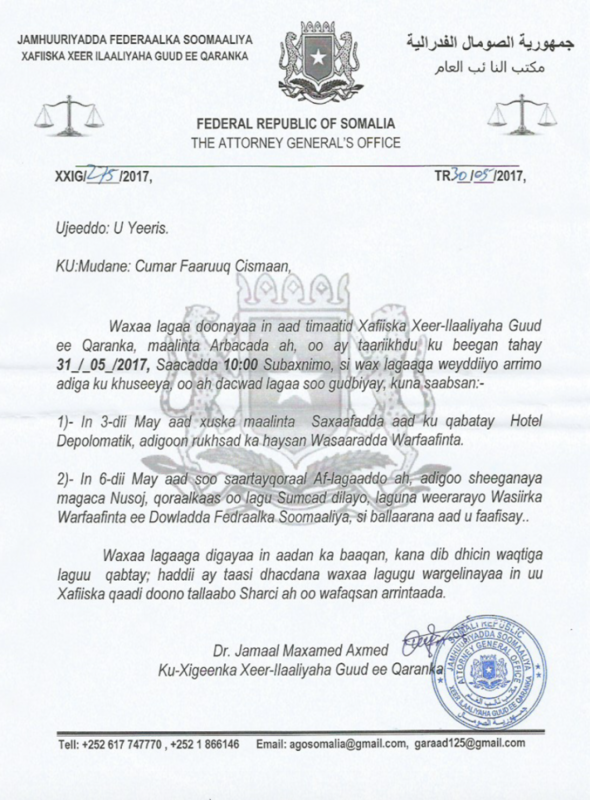 Although, Somaliland authorities have so far not stated officially the reason behind the arrest of Omar Ali Hassan, journalists in Hargeisa believe that he is detained because of his media work in Mogadishu, and Somaliland is putting pressure on journalists who hail from its regions not to work for media houses established in Southern Somalia, and is using such an arrest to intimidate other journalists who would want to go to southern regions for media related work. “We demand Hassan’s immediate and unconditional release. This situation must end. 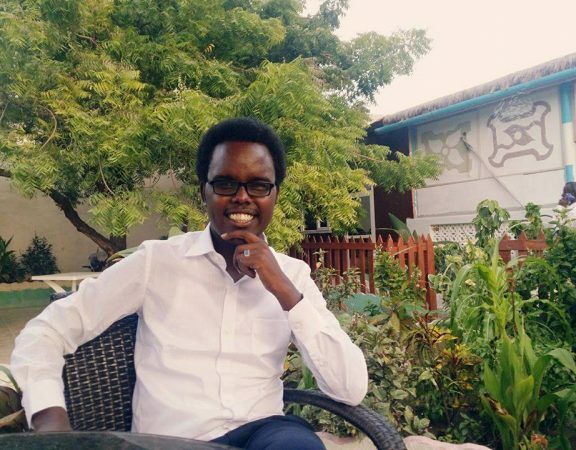 Freedom of movement is a central tenet of independent professional journalism and, in restricting such a right, Somaliland authorities are in breach of the right to report and international laws,” added Osman. 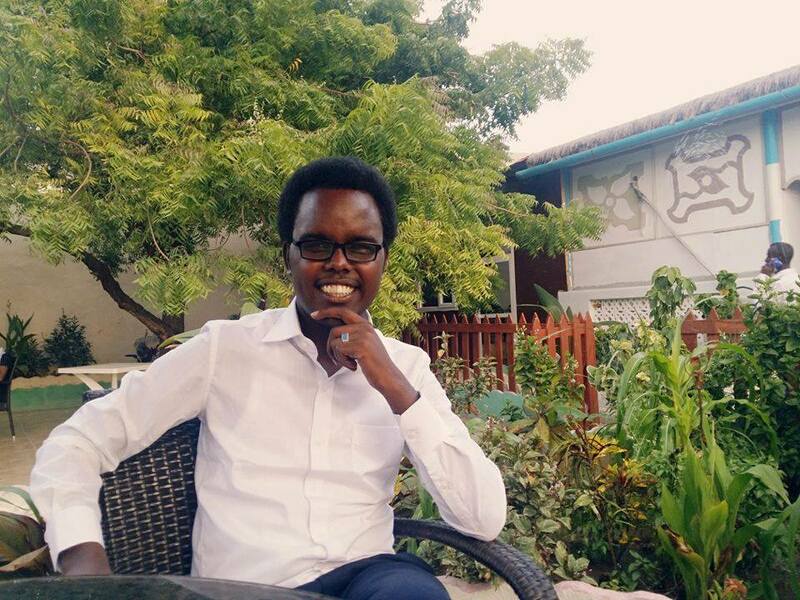 NUSOJ has since yesterday given chance for efforts to release the journalist but issues this statement after learning that authorities are detaining the journalist in order to force him to make a commitment that he will not go back and work in Mogadishu. 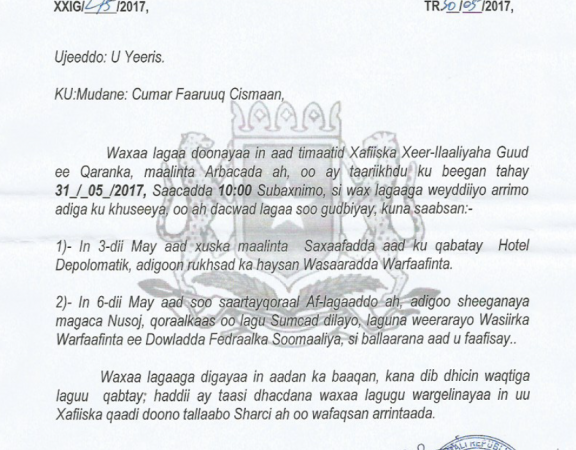 This is the second time that Somaliland arrests a journalist who traveled to Mogadishu from its regions.